TOAST.LIFE’s Little Black Book is the UK’s first dedicated community of special occasion and event suppliers. TOAST.LIFE makes it simple for style-savvy consumers to find the very best, trusted suppliers from across the UK, whilst also providing the ultimate platform for businesses to connect with active party planners, helping to grow your business. As an approved vendor in TOAST.LIFE’s Little Black Book, you will receive your own dedicated vendor page and private dashboard, enabling you to edit and manage your listings, as well as the opportunity to showcase your products and services to active consumers! Build your audience: So that you can focus on what you do best - your business! Connect with a community of likeminded creative experts: Collaborate and attract business opportunities and make the UK special events industry brilliant! Save consumers hours searching for the best vendors in the UK because TOAST.LIFE has them all! TOAST.LIFE also provides: copywriting services, photography, styling and business advice, to help your brand stand out, ensuring your business reaches the widest audience. TOAST.LIFE be part of the UK’s largest community of special occasion and event suppliers today – for FREE! Applying to join our community is quick and easy. In just a few simple steps using our online registration form, you will be able to sign up for your account and create a listing or multiple listings for your business. 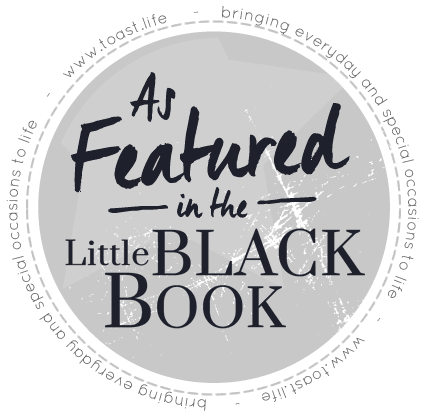 Who can apply to be part of the Little Black Book? 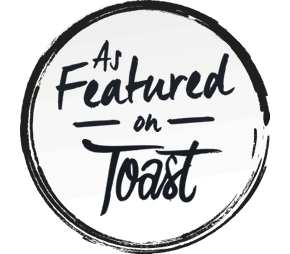 TOAST.LIFE is dedicated to supporting independent businesses in the special occasion and events industry, allowing any business within this sector the opportunity to apply to join our community. TOAST.LIFE supports businesses of all sizes, in multiple areas, but as the ultimate guide to party planners and hosts we are selective about who makes it into our Little Black Book. TOAST.LIFE looks for businesses and brands that will appeal and inspire our readers, and people and products that share our values to inspire and help create beautiful and stylish celebrations for any occasion. From the start-up to the established, TOAST.LIFE seeks out innovative, quirky, trend setting brands. The Little Black Book is carefully vetted by our enthusiastic team of experts and measured against our own strict criteria. We pride ourselves on working with only the very best suppliers in the special events industry, and seek only professional, reputable businesses which have a proven track record in providing high quality products and services to their customers, with a minimum of two years trading experience, and those suppliers that our readers can trust. Once approved you will be able to edit your listing, add imagery, and build your portfolio of products and services to promote your brand to our readers at no cost. TOAST.LIFE helps you to build your audience and grow your business so that you can focus on what you do best- creating brilliant products and providing first class services for special occasions and everyday events! If you share our values, we’d love to review your brand. 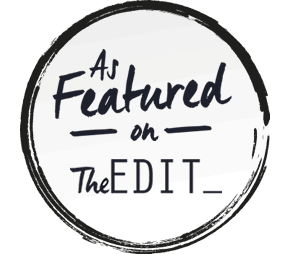 If you have been featured on TheEDIT or listed as a supplier in our Little Black Book you can proudly display your "as featured in" badge on your website. Simply copy the code to the right of the image you want to use on your website. Then paste it to your website via your content management system. If you don't have a content management system you can ask your web designer to add it for you. If you prefer, you can simply download the image from here. For full details on becoming a listed vendor in our Little Black Book, please head to our FAQ’s.